Vivekananda Kendra Vidyalaya, Nalbari, takes pride in its highly qualified and efficient faculties who have extensive experience and expertise in their respective fields of teaching. Our teaching methods are closely linked to our school mission: to help students discover their unique abilities, to become aware of their place in a globalized world, and lastly, to ensure that each of our students is provided with the opportunity to access our curriculum. Our commitment to learning can be seen in our teaching methods, where the passion for learning is evident and palpable in the classroom and where each student is encouraged to be the initiator of their own learning. we know that one of the main ways to enable a student to learn effectively is through differentiated teaching. We especially focus on the needs of each student by continuous monitoring during the week and personal interactions, which enables us to notice the weekly progress of every student. Our teachers seek to establish a two-way path of communication with our students, combined with a view to support a triad of active learning: establishing a baseline of understanding, providing guided and directed practice and introducing mastery activities which solidify both meaning and achievement. Our teachers seek to build the most cooperative learning environment, where students work together with a rapid and effective feedback loop from teachers. Our faculty members are zealous and committed in the work of human resource development for nation-building. Our teachers work on the model of interactive learning in the ideals of nationalistic education, as envisioned by such stalwarts as Swami Vivekananda and Sri Aurobindo. The school has a strength of 725 students on rolls from class K.G-X. Our Vidyalaya believe that today’s students are tomorrow’s leaders and that leaders are not born but are moulded. We have ensured this by selecting captains and vice captains for various classes & houses. The school has four houses. Different house-activities ensure holistic growth of mind and body of the students. The house-activities also foster a spirit of healthy competition amongst students. The school follows NCERT curricula as prescribed by CBSE. 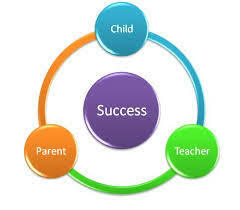 The curricula emphasize on scholastic and co-scholastic area of child’s development. For holistic development of the students, VKV-Nalbari, amalgamates academic studies with the activities in the area of health & physical education, visual and performing art, work experience. The students participate in a variety of co-curricular activities of their choice round the academic year. The new academic session of the Vidyalaya commences from 21st of April every year. The school breaks for vacation during Summer months, Durga Puja & Bihu festival. The school has well-planned Time Table in place. The school begins with Morning Assembly at 8:40 am. The Time Table fixes 6 days a week class, 8 periods in a day, each period of 40 minutes duration.